The poem reads: Strange! that one lightly-whispered tone Is far, far sweeter unto me Than all the sounds that kiss the earth, Or breathe along the sea; But, Walter, when thy voice I greet, Not heavenly music seems so sweet. 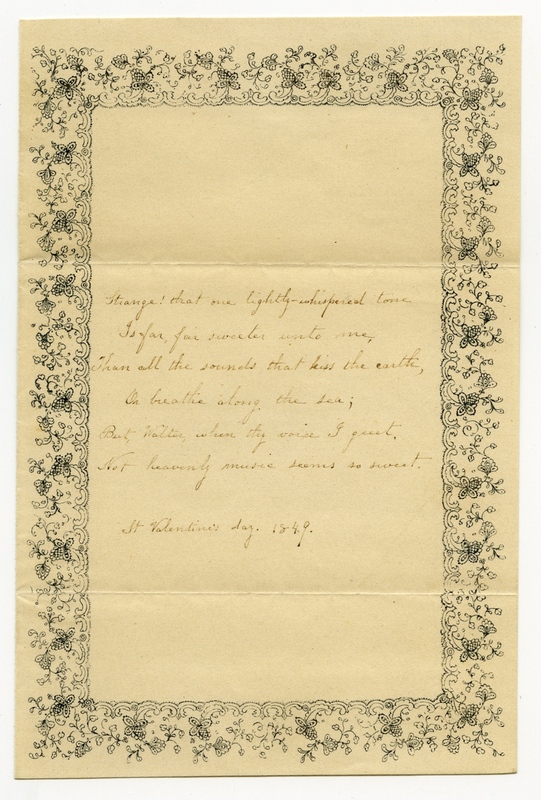 St. Valentine's day, 1849.